The company that started it all – since 1938, we have provided industrial and architectural façade solutions to customers all over the country. We specialize in custom sheet metal fabrication and exterior wall panel systems. Setting ourselves apart with our cutting edge products and processes, our commitment is to superior customer service, as we continue to build our core business into the 21st century. The story of Kistler McDougall starts in 1978 when founder, Herman Kistler, began selling and marketing Aluminum Composite Material (ACM) for Consolidated Aluminum. ACM later became one of the most specified exterior cladding products in modern construction history. After six years promoting ACM and other architectural metals, Herman, along with Wylie and John McDougall Jr., incorporated Kistler McDougall as a specialty contractor. Established in 2003, EWS has grown into a premiere provider of building enclosure systems and components. We specialize in the fabrication and installation of Aluminum Composite Material (ACM) rain screen systems. Along with our affiliate companies, EWS is one of the nation's largest purchaser of ACM and maintains strategic partnerships with manufacturers and providers of some of the most sought-after cladding and enclosure systems in North American and Europe. Our successful track record brings the expertise and industry knowledge to help architects, designers, and owner groups select the best enclosure systems for each project. 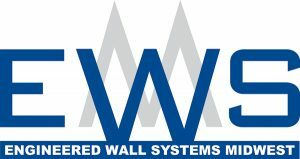 Engineered Wall Systems Midwest, Inc. is a partnership of dedicated enclosure specialists with decades of experience motivated by solving, designing and providing single-source solutions for building enclosure, modular buildings, and unitized wall assemblies. Founded in 2014, we are focused on customer-oriented, technology driven basic principles of quality, reputation and safety. We are able to provide these offerings with our own skilled and trained workforce, in-house designers, and dedicated fabrication facilities. Engineered Wall Systems Texas is a premier Dallas / Fort Worth architectural enclosure company, specializing in aluminum composite metal panels, custom plate panels, insulated wall and roof panels, corrugated metal panels, architectural louvers and screens and their component support systems. We provide a complete menu of enclosure solution services that meet every stage of your project needs from concept and budgeting to value engineering through material fabrication and installation to final closeout. 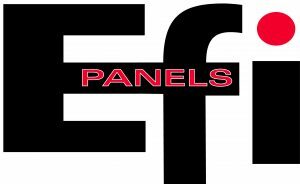 Based in the greater Houston area, EFI Panels, LLC. has fabricated and installed exterior wall panel systems on some of the area's most recognizable structures. Specializing in corporate identity, schools, office buildings, hospitals, condominiums, canopies and column covers, EFI Panels, LLC can perform any custom facade system. As the newest member of the McDougall Family of Companies, HPM utilizes nearly 90 years of commercial construction experience to bring customers big solutions with a small business sensibility. HPM is an employee-owned Colorado-based contractor dedicated to the principles of integrity, hard work, and a determination to build better. Lasting relationships with our clients is a priority everyday with HPM. When you build with HPM, you work directly with the owners resulting in no red tape, no delays, and real time solutions.